Hello Doodlebugs! 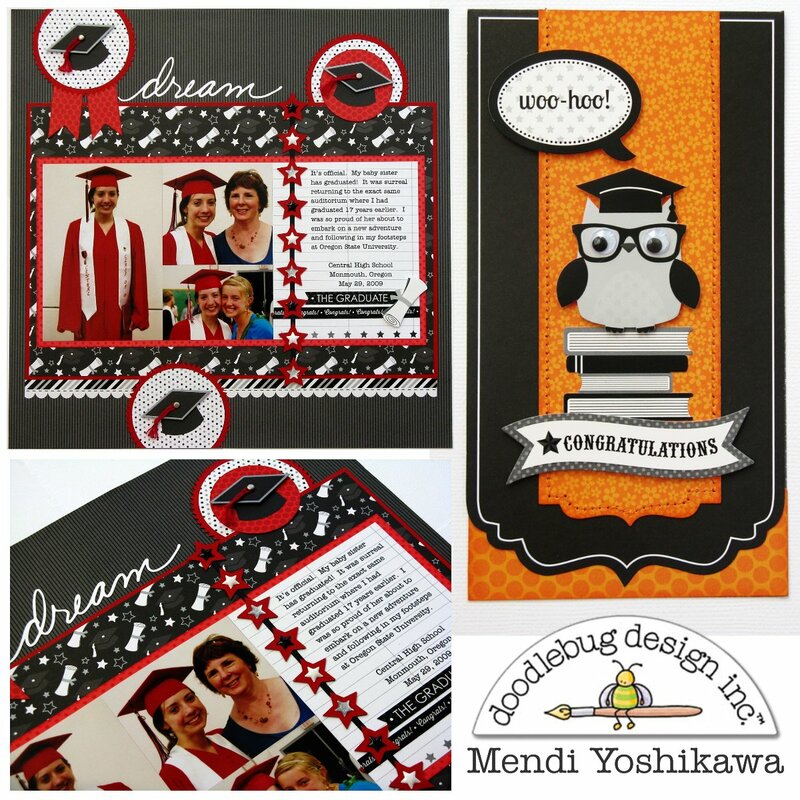 It's Mendi here today sharing some graduation projects I created with Doodlebug's newest collection, The Graduates! I adore how versatile this collection is and by being monochromatic you can tailor it to match so many different school colors. 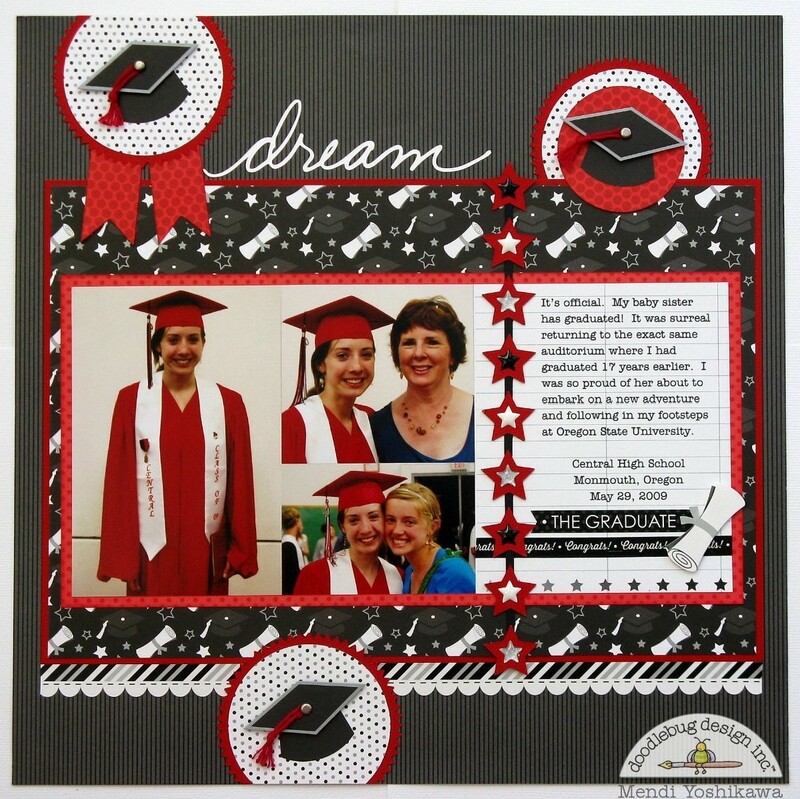 First up I have a layout I created documenting my little sister's high school graduation. I had a lot of fun personalizing the little caps from the Mini Diplomas & Caps set by adding a brad and some solid colored embroidery floss. 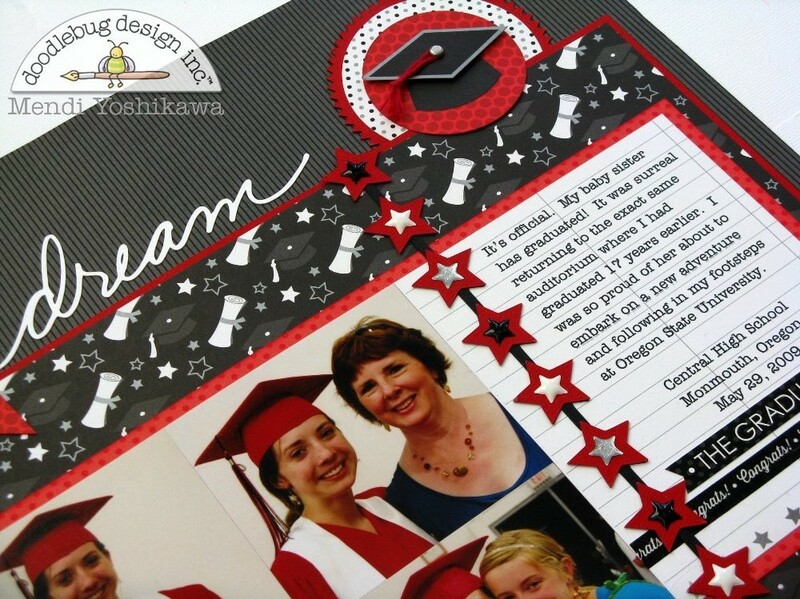 Like most of the team I am also captivated by Doodlebug's newest product, star sprinkles! I decided to incorporate them into my star border and I love how they look! I decided while I had my supplies handy I would whip up a quick card (and I mean quick). I'll admit I'm not usually a very fast paper crafter, but I think I actually created this in less than 10 minutes! I made this for my same little sister who will soon be graduating from Oregon State with her black and orange school colors. I love the personality little wiggle eyes add to the owl stickers! I hope I've inspired you to play with this fun new collection! I love the red on the layout and the card is a darling!!! FABULOUS layout and SUPER CUTE card Mendi!!! CONGRATULATIONS to your baby sister too ... lucky you had the perfect collection to help celebrate both occasions!!! 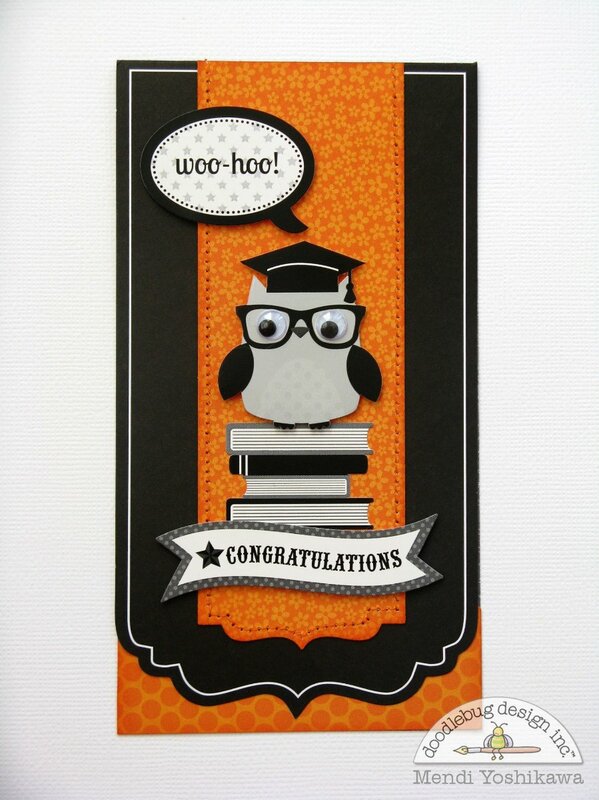 LOVE the cute little googly-eyed owl and delicious orange & black layers!!! Love the layout and the card is so cute!!! Awesome layout and card!! This owl is precious! Love that congratulations card. I am going to be needing to make a couple for myself! I pinned both of Mendi's projects to my board! Love both your projects Mendi but I really adore your card!!! !